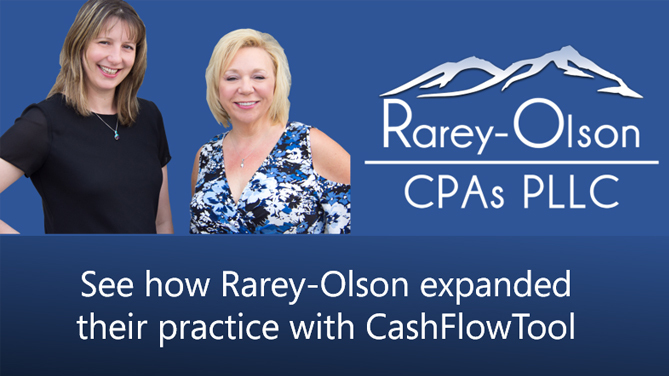 CashFlowTool Helps Rarey-Olson CPAs Expand Services With Cash Flow Forecasting and Management. They selected CashFlowTool to help manage and advise their clients on cash flow. 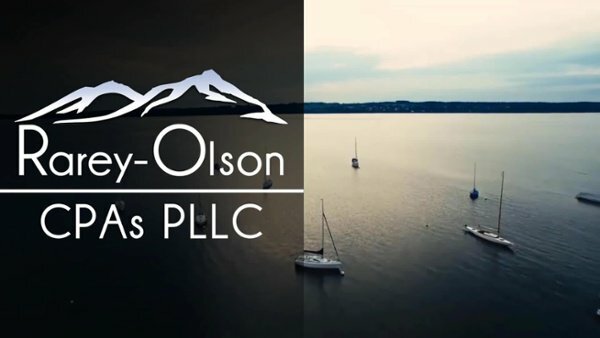 Rarey-Olson CPAs is an accounting firm located in Auburn, WA. They provide accounting and advisory services to business clients along with tax services to businesses and individuals. The Rarey-Olson team has a combined 55 years of experience. They deliver their expertise and insights to clients with personalized service and by leveraging technology. Like many other accounting firms, the Rarey-Olson team was using Excel to forecast cash flow before finding and implementing CashFlowTool. 1. Managing manual Excel spreadsheets for forecasting clients’ cash flow was inefficient and burdensome. 2. It enables deeper discussions with clients to build their advisory practice. 3. It helps attract their ideal clients: Those who are serious about utilizing their financial data and looking to grow. 4. It’s simple to set up and is user friendly for both Rarey-Olson and their clients. 5. It’s scalable and adds value to their overall package offerings. 1. Immediate access to an always up-to-date cash flow forecast they can rely on to make better business decisions. 2. Can keep an eye on the metrics and KPIs that matter to them most using customized dashboards set up by the Rarey-Olson team. 3. Engage in proactive conversations with the Rarey-Olson team about decisions their management teams needs to make.